Residents of Rehes Ramim told to stay indoors as IDF scan for infiltrators; IDF says threat has been neutralized. A terrorist infiltration in the Galilee may have been thwarted Wednesday night, after Rehes Ramim residents were told to remain indoors due to a possible terrorist infiltration. The community is southwest of Kiryat Shmona and close to the border with Lebanon, amid high tensions between the two countries. The IDF and security forces temporarily closed roads near Rehes Ramim while they assessed the situation. As of 6:40 pm Wednesday, the IDF gave the "all-clear" to northern residents, saying that the threat had been neutralized. The IDf announced minutes later that the threat had been a false alarm. Northern residents and the IDF have been on high alert throughout the week, after an IAF airstrike in the Syrian Golan Heights killed a senior Hezbollah commander and an Iranian Revolutionary Guards general on Sunday, along with several other Hezbollah and Iranian fighters. But the IDF has nonetheless remained on high alert, and covertly moved Iron Dome batteries close to its northern borders late Monday night. 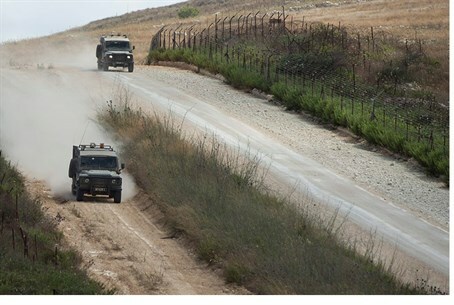 Ahead of possible retaliatory strikes, the IDF also closed several roads in the north Tuesday night, including the old road between the towns of Avivim and Dovev, the road between the moshav Zar'it and the Lebanese border. Hours earlier, a convoy of civilian vehicles with Hezbollah flags fired shots in the air close to the border with Israel, raising concerns further.